“A missing child. A desperate mother. And a house full of secrets. The warmest of welcomes to damppebbles today and to my stop on The Retreat blog tour. The Retreat is the latest release from one of my favourite authors, Mark Edwards, and is available to purchase from 10th May onwards. 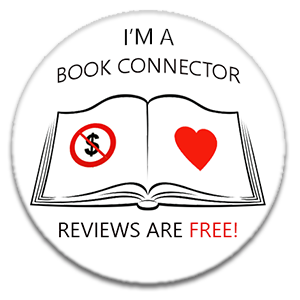 You can catch my reviews of some of Mark’s previous books by clicking the following links (be warned, there may be a spot of fangirling): Follow You Home, The Devil’s Work & The Lucky Ones (I have read more than these three, but they were pre-blog so no reviews to share. Shame on me!). Normally, after finishing one of this author’s books, I sit back and think, ‘Wow, could that happen to me!?’. I didn’t do that this time, which is probably something I should be relieved about. The story felt a little more ‘fictional’ than others before it, but that’s neither here nor there. This is another fantastic addition to Mark Edwards’s catalogue of outstanding psychological thrillers. How does he do it?! Time and time again! (Honestly, if you’ve never read anything by this author then you are seriously missing out!). You may know me as a die-hard crime fan but I’m also a massive fan of the horror genre and The Retreat is billed as a psychological thriller with a horror twist. If the word ‘horror’ puts you off then don’t fret, it’s a not a gruesome, gory slasher fest (which I love, by the way). The horror is provided by a small community’s fear of its own fables. A myth handed down through the generations, from parent to trusting, mesmerised child about a witch; the Red Widow. The Retreat shows the reader the terrifying consequences of an urban legend, and the uncomfortable power an adult has over a child’s beliefs to tease…and terrify. And ultimately, what terrible damage can be done. Most of the chapters in the book are narrated in real time, but every so often the reader gets to hear from Lily before she went missing back in 2014. I thoroughly enjoyed these chapters and marvelled at how well Edwards managed to replicate an 8-year-old girls voice (I have a 7-year-old daughter myself so feel I’m fairly well qualified to comment!). Would I recommend this book? I would. Read this and every single other book written by Mark Edwards as I can guarantee, you will not be disappointed. If you’re looking for a book to make you feel a little on edge, a book to take you to places you never imagined and to witness deeds you never foresaw, then give The Retreat a go. Such a compelling, well-written and accomplished book and one I devoured in just over 24 hours. Mark Edwards remains one of my very favourite authors and can’t seem to do anything wrong in my eyes. I chose to read and review an eARC of The Retreat. The above review is my own unbiased opinion.